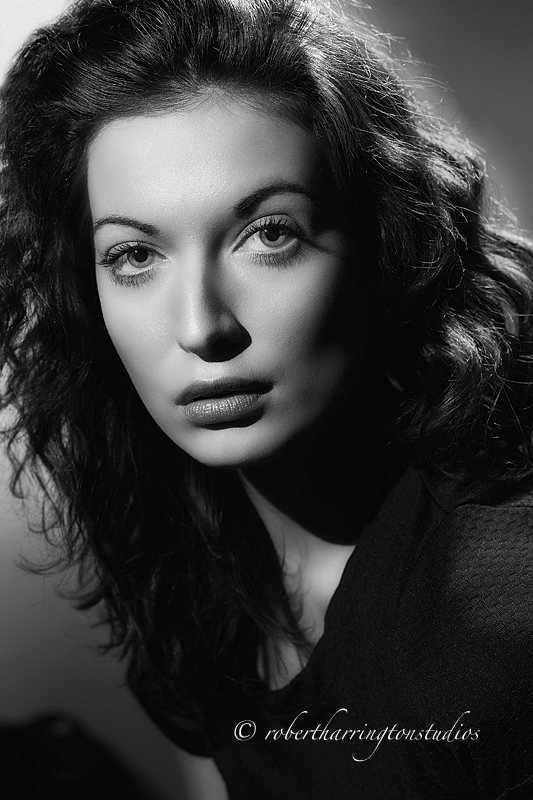 Yesterday I went to the BH Event Space to present how to shoot 40’s style Hollywood Glamour with speed lights. I love shooting and teaching this look as it is relatively easy to do with 3 small flashes and Rogue Flashbenders. I also finish all my images in this style with Totally Rad Actions Portrait Retouch V2. Here is the BTS diagram. I shot the image with my D3 and 105 f/2 DC lens. All the flashes were fired the Phottix Odin Radio Trigger system. Here’s a final from the shoot. 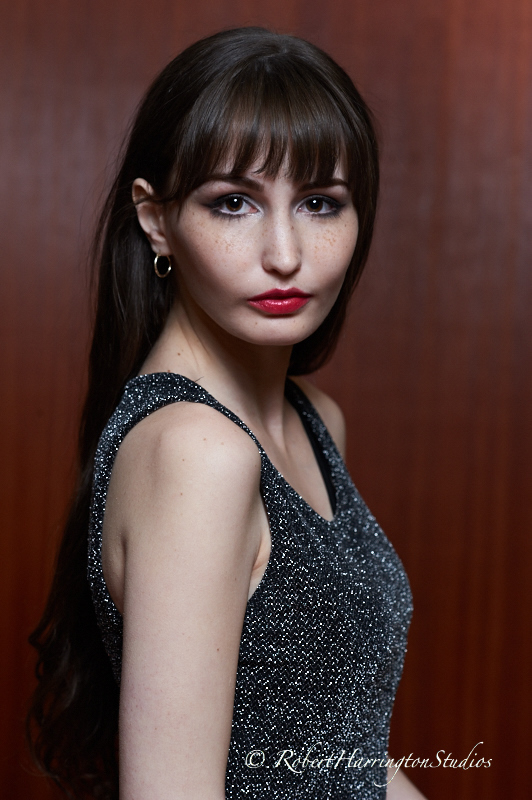 Originally I thought my model, Richelle, looked like Hedy Lamarr, but after this shot, I think she looks more like Sophia Loren. I had to cancel the second workshop of the day at the CCNY due to lack of attendance. it was just as well for my model and her agency booked a casting for L’Oreal right after the event. Good luck, Richelle! Till next time, keep it glamourous! This past weekend I had two workshops that were just spectacular. Then I headed to Unique Photo in Fairfield, NJ on Sunday for a full day workshop on fashion, beauty, and glamour. Tomorrow I head to BH Photo for 40’s Hollywood glamour and then to the Camera Club of NY to run a short shooting event. I’m bringing my speed lights and join in the fun to shoot with a great model a few different lighting looks. Don’t miss out on this great and fun shooting and portfolio building event with a seasoned pro, Richelle, who is represented by Ford and MSA. Tired of sitting home and watching the snow fall, anxiously awaiting Spring? Then join me this weekend for these great shooting workshops and kick Winter in the keester with a few upcoming workshops! February 22, Glamour and Beauty Lighting, My Studio, Cost $200, 12-4 pm. We’ll explore multiple glamour looks and have a great time shooting our model: Julie Dawson, MM #3234674. 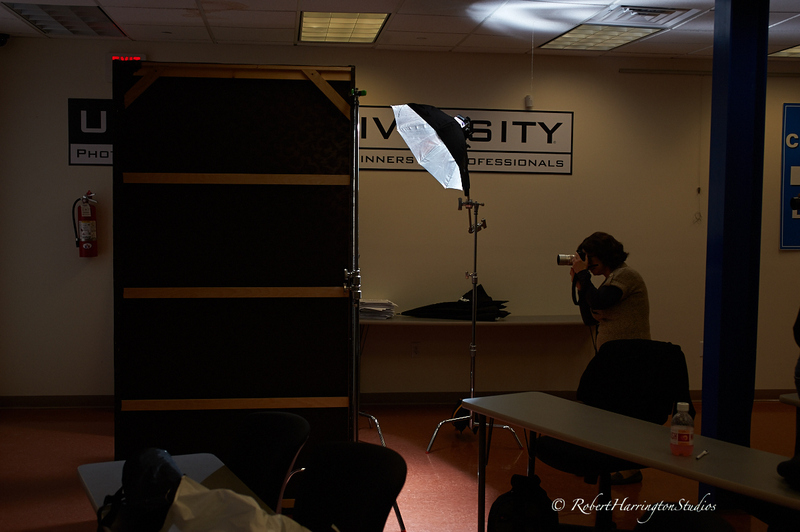 This is a speed light workshop using Westcott gear. If you are interested in this workshop, please contact me directly: 203-641-2880 or rvh34@hotmail.com. There are still spots left. February 23, Lighting for Fashion and Glamour, Unique Photo, Fairfield, NJ. This will be an awesome small flash event. I’m bringing a small set that I built to travel with and will make the studio space look like a room. Professional models supplied. Sponsored by Westcott. February 25, Hollywood Glamour, BH Photo Event Space, BH Photo, Free, 1-3 pm. 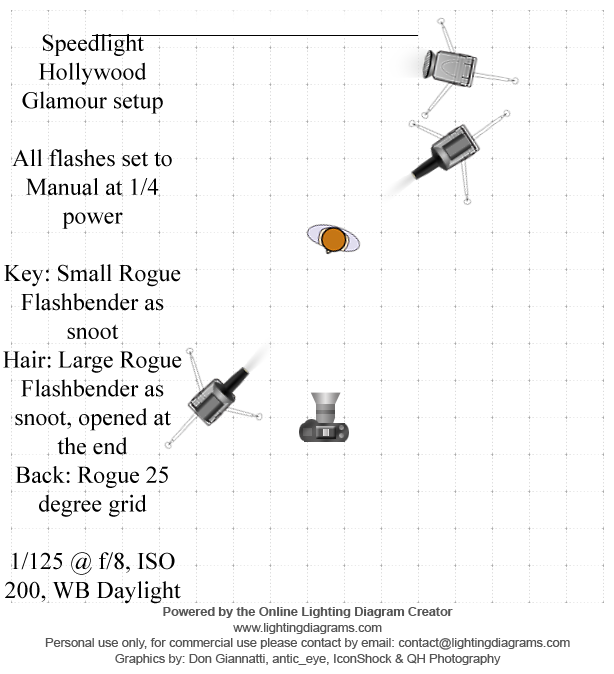 This event will showcase how to shoot classic Hollywood Glamour with Speedlights and a small array of Rogue Flashbenders. The event is currently closed to new registrations, but if you can come early as a stand-by, you may get in. March 3-5 is the premier wedding and portrait photographers event: WPPI. I’ll be there speaking an presenting with Expoimaging, BH Photo, and Phottix. If you attend, make sure you stop to meet me! March 8, One Speedlight, 16 Looks Workshop, Photo Connections of Colchester, 10-4 pm. This is an all day shooting workshop. I’ll take you from beginner to intermediate with 16 different lighting looks with one speed light. We’ll have 3 models and lighting stations on hand for you to shoot. March 8, Glamour on Location, This is a full on glamour shoot after the Photo Connections workshop. Shoot glamour on location with speed lights. If you are interested in this workshop, you must contact me at 203-641-2880 or rvh3@hotmail.com. I look forward to meeting and working with you this year! Till then, happy snow shoveling! Tired of sitting home and anxiously awaiting Spring? 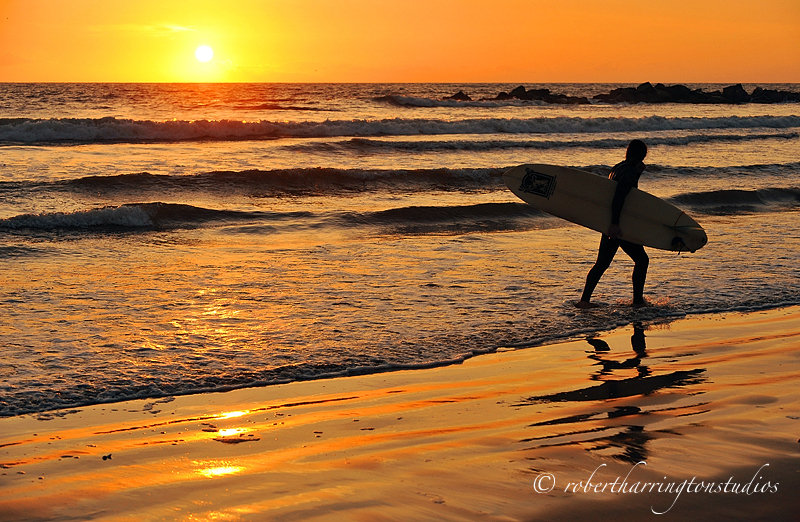 Then join me this weekend for these great shooting workshops and kick Winter in the keester! February 22, Glamour and Beauty Lighting, My Studio, Cost $200, 12-4 pm. We’ll explore multiple glamour looks and have a great time shooting our model: Julie Dawson, MM #3234674. If you are interested in this workshop, please contact me directly: 203-641-2880 or rvh34@hotmail.com. There are still spots left. February 23, Lighting for Fashion and Glamour, Unique Photo, Fairfield, NJ. This will be an awesome small flash event. I’m bringing a small set that I built to travel with and will make the studio space look like a room. Professional models supplied. I pulled a few images from my catalog and decided to try some creative retouching. I usually don’t do or go this far in retouching but wanted to try something different with this image. Some retouching questions I’m asked are: How do you retouch? What software do you use? How far should I go? These are tricky questions to answer as everyone’s needs are different. Here, I’ll do a fashion retouch and simple retouch. 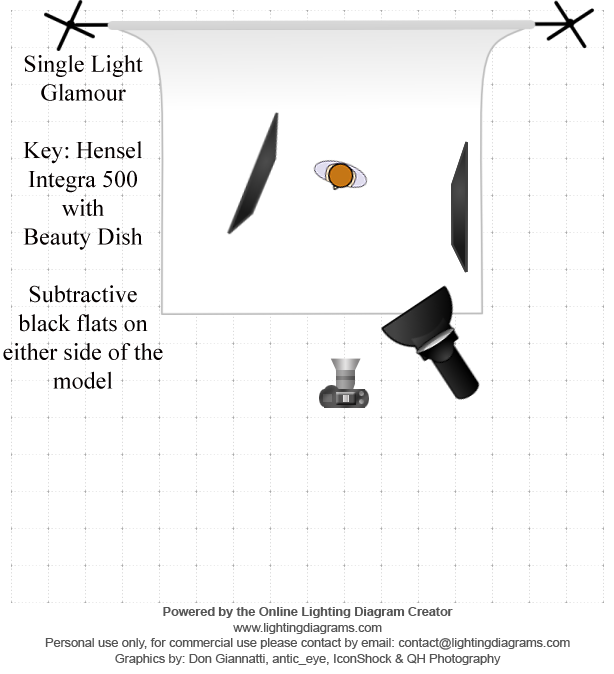 Lighting: Hensel Integra 500 with Phottix Luna Beauty Dish, both sides were flagged with black subtractive panels. Here is the image as it was converted from RAW to Tiff. Here’s the final. I did a porcelain skin and toned retouch to see how it would look. I went much farther than I usually do but liked the end result. I liked this look on my model Sandra, but then wanted something less toned and more natural. For this shot, taken under the same lighting setup as above, I wanted a slightly warm tone and natural look. Straight out of the camera it looks pretty good. I cleaned it in Photoshop and then went to the action palette. Then on to Totally Rad, Rad Lab where I used Lux Soft at 50% to brighten and give a warm toned to the final. The second retouch is more my style as it still has that air of realism but great color tone and softness. If you are looking for an easy to use retouching software, look no further than Totally Rad. Thanks for stopping by. Retouching, alas, is in the eye of the beholder. Till next time, happy retouching! I shoot food for a few local magazines a few times a month, and I love it. 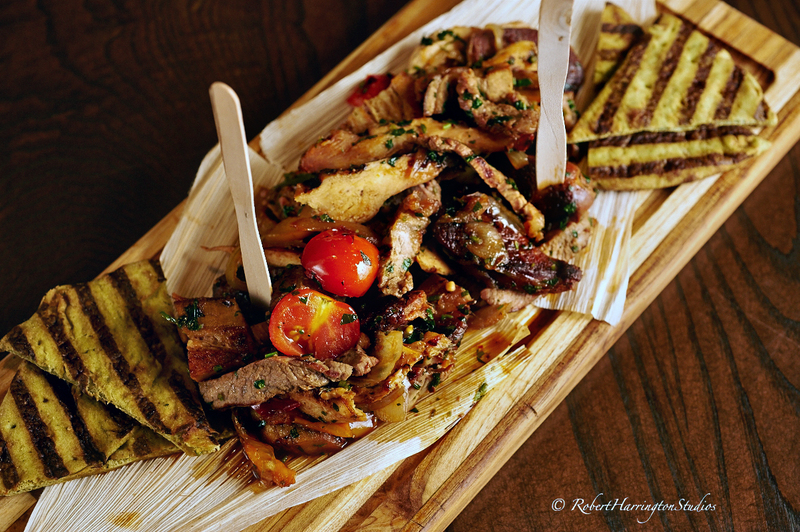 Food is one of those fun things to shoot as there is no one to direct, pose, or chase around. 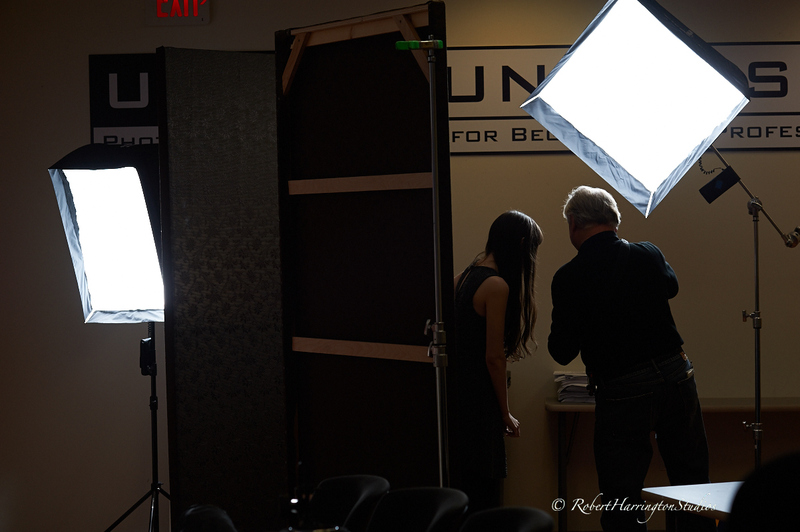 Once your light is set, you can pretty much just go to work with minor lighting adjustments as you go. For this set, I shot at Village Bistro in Milford, CT. I’d like to thank Kay and his chef David for accommodating me the other day. 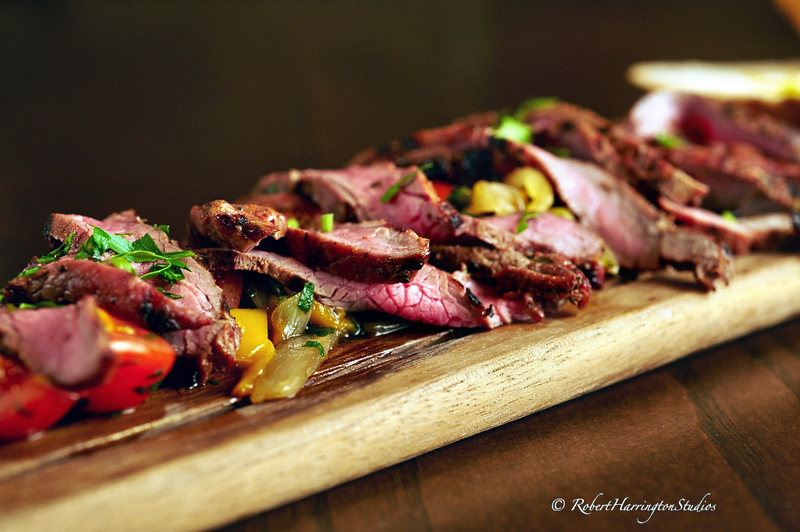 One of the best things about food is that it is fresh, so right after the shoot, you get to eat! I try to shoot food quickly so that not one plate is sitting for too long. 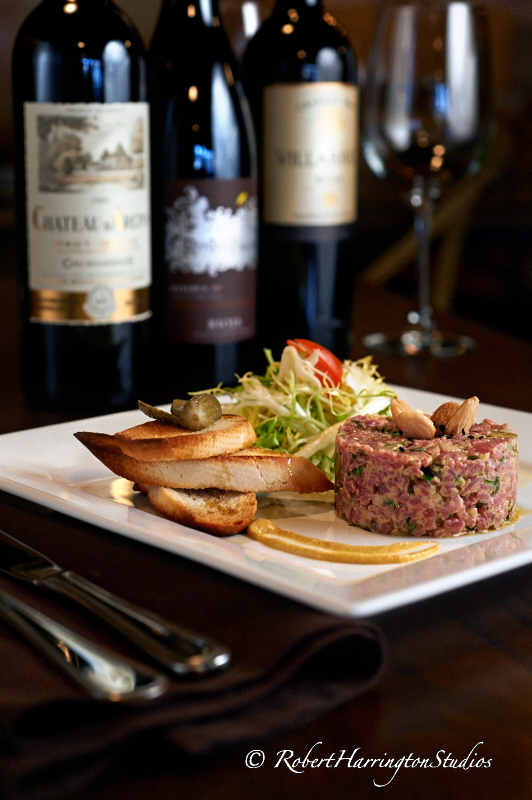 This is important when food elements can spoil, like steak tartare, or when elements can wilt, as is the case when greens are already seasoned on the plate. 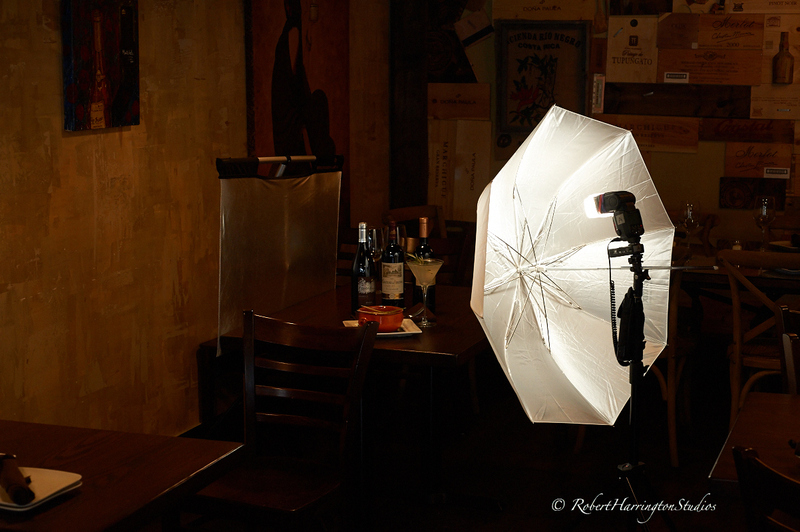 I usually use a one or two light setup with a silver reflector. 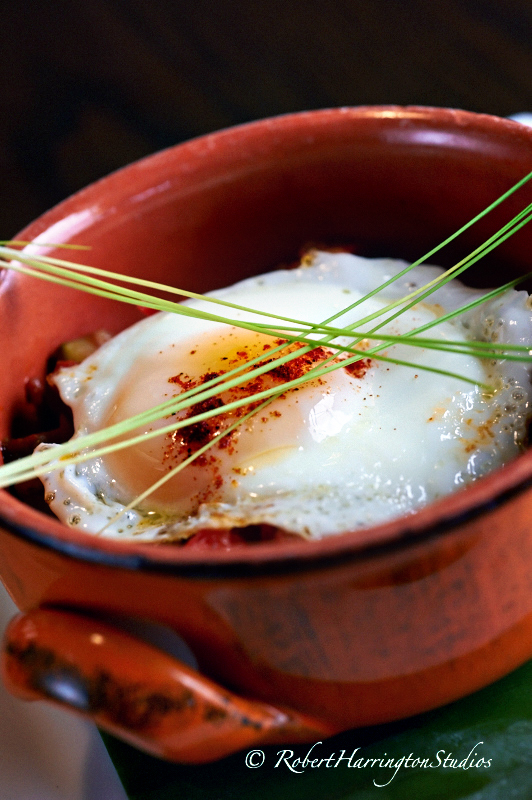 Food likes to be lit from the sides or top as this gives you texture. If you front light, you fill all those nooks and crannies in with light and lost the beauty of the food. I process all my images through Capture One Pro 7 and add contrast, saturation, and sharpness with Totally Rad Actions Boutwell Magic Glasses. Well that’s it for now. If you are in the Northeast, enjoy the heavy, wet snow today. Till next time, let’s eat! Jason from CA sent me a question about yesterday’s post on shooting Real Estate and the white balance I chose to get my final result. I sent Jason a reply to his question but thought that a post on Creative White Balance would be a good way to handle the oft asked questions on WB. This post is less about getting a correct white balance for my scene than it is about getting a white balance that is pleasing to the eye and faithfully, or as faithfully as possible, represents the scene that I saw when I entered the room. For the kitchen shoot, I used Rogue 1/2 CTO gels on my speed lights to bring the speed light WB of 5500 to 4500. The reason for this is that in order to register warm colored light, the light you see in real life in the room, and the outside light coming in from the windows, you need to choose a WB that can handle both without getting a color cast or too much of one color over another. 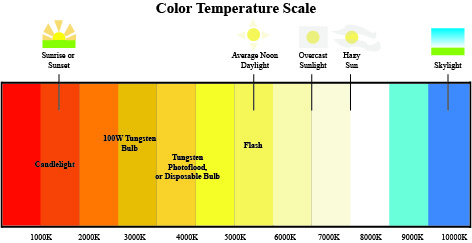 In this graph, you can see that Tungsten, or the usual interior lighting of a home is about 3000 degrees Kelvin and yellow/orange. Daylight, or outside light in this case, is about 5500 degrees Kelvin and fading yellow to white. In order to get a consistent color tone that registers pleasing to the eye and can bring the two color temperatures together, you need to work somewhere in the middle. Here is the image shot with my speed lights gelled to 4500 degrees and my WB set to 4500 degrees in camera. The overall effect is pleasing to the eye, not too blue, and not too warm. Daylight registers almost as a neutral and the warmth of the interior lights is still there; making the photo look like the scene I saw when I took the shot. If I set my WB to tungsten or 3200 degrees Kelvin, along with all the light coming in from the other windows in the house, the room is overcome with blue tones as the tungsten lights register as neutral and daylight registers with blue tones. This is not what I saw when I shot the room. If I set my WB to daylight to handle the light coming in from the windows and flooding the area of the kitchen along with the tungsten light, the effect would be too warm to the eye and again not what I saw when I was in the room. This has everything to do with understanding that the warmer color light is actually the cooler temperature on the Kelvin scale and that the cooler temperature of 5500 degrees actually registers warmer in the tungsten lit room. And this is how you learn to balance the two color tones. If this room was flooded with daylight and I didn’t need to turn on the tungsten lights, then i would have shot it at daylight or 5500 degrees Kelvin. But I needed to balance the two color temperatures to get a pleasing and realistic result. Shooting this look is less about getting a correct result for one color temperature over another, it is about balancing the two temperatures in order to take a photo that looks like the room looked when I shot it. You need to have a good understanding of WB and then forget all you know and just go by your gut. In this case, if I didn’t balance the two light sources at 4500 degrees Kelvin or in between the two dominant sources of light, then I would have spent a great deal of time in post processing figuring it out. In my final image, I never adjusted WB. That’s the color out of my camera. That’s it for now. Till next time, it’s all a balancing act! I apologize for the lack of posts but let’s get going with a post on using small light sources for real estate. I used to do this a great deal until the market fell apart in 2008 in CT. I worked for private clients, VFM Leonardo, and 360 Media. Shooting this real estate, especially kitchens in large houses, produces lighting problems. This is a galley style kitchen so it is long and narrow. I set a key light to my left and flashed it directly into the kitchen to open it up. 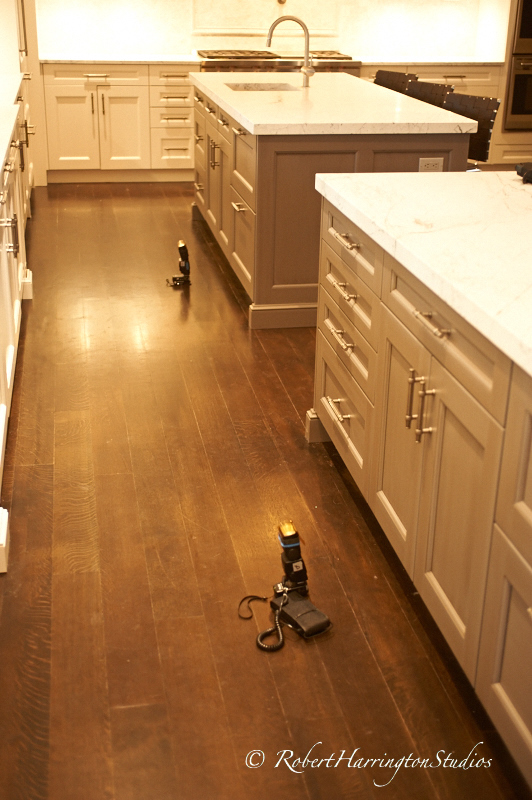 I then set a speed light down the opposite end next to the refrigerator to open the furthest area of the kitchen. 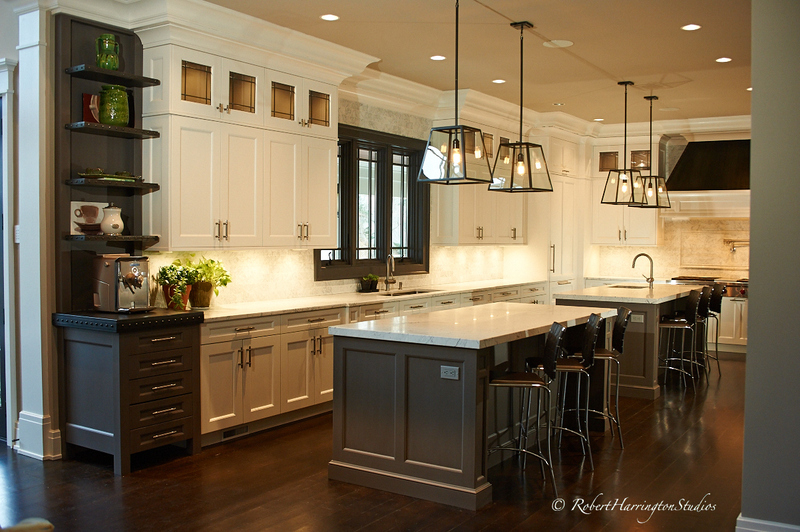 Then, luckily, there was a butler’s pantry on the right so I was able to add a third light out of sight to pone the area by the chairs on each island. Setting exposure and paying attention to your lighting is paramount in these shots. 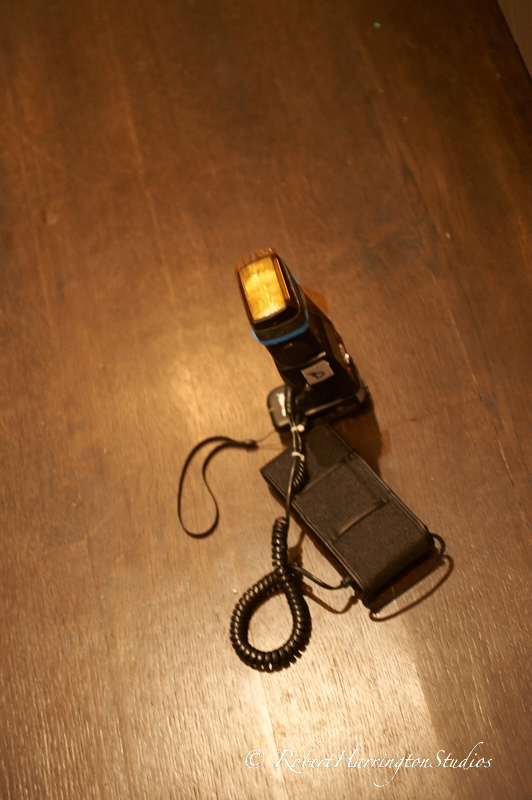 So using the Phottix Odin payed off in that I could control each flash individually in TTL. With the Odin, I’ve been using TTL more often as I’ve found it very easy to understand and use. For Exposure, turn on all the lights and set the initial exposure to the brightest spot in the room. 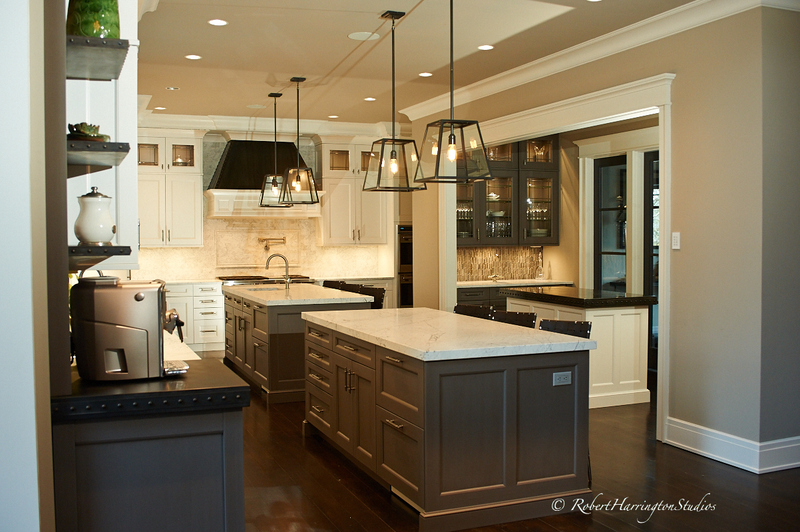 In this case it was the under cabinet lighting. After you set this exposure, then find a good balance between this light, outside or the daylight coming in through the window, and your aperture. For White Balance, which can be difficult to figure out on these shots, I use Rogue 1/2 CTO Gels to get my speed lights from 5500 degrees to about 4500 degrees Kelvin. This is in between the 3200 degrees of the warm kitchen light and the 5500 degrees of daylight. This works very well in balancing inside to outside when adding light to the scene. Each of the images was corrected for exposure, saturation, and contrast but not WB. Setting my camera to 4500 degrees in camera gave me perfect balance between light sources. 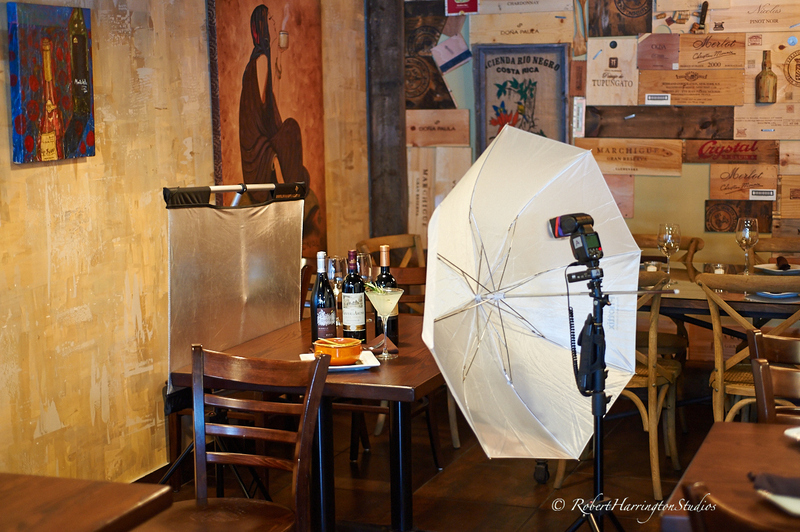 Speedlights work very well for this type of work as they can be moved around the room as needed and placed very near the floor for accent lighting. 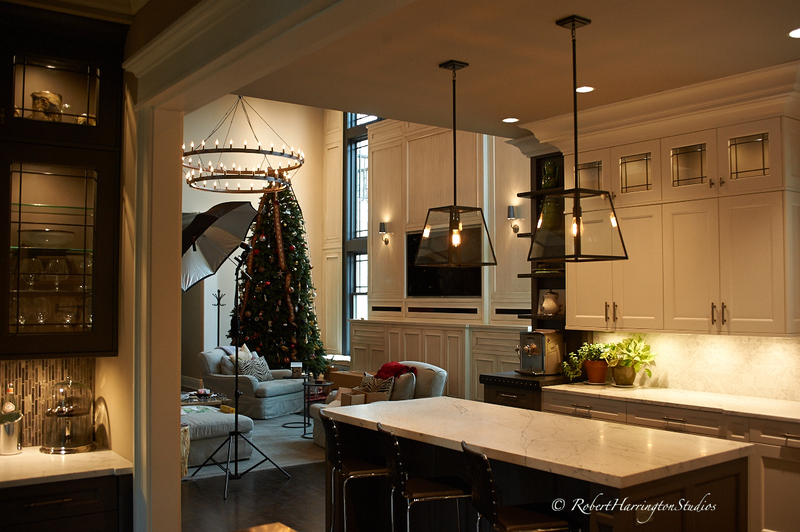 Shooting real estate is fun as you really get to understand lighting and position to effectively use and place your light. The Phottix Odin in TTL worked perfectly as I was able to adjust power settings up or down as needed and take advantage of TTL capability when the outside light changed. Well that’s it for now. Till next time, happy shooting!